Ford designs for a niche clientele that is all about luxury but this time around he did much more than just that. 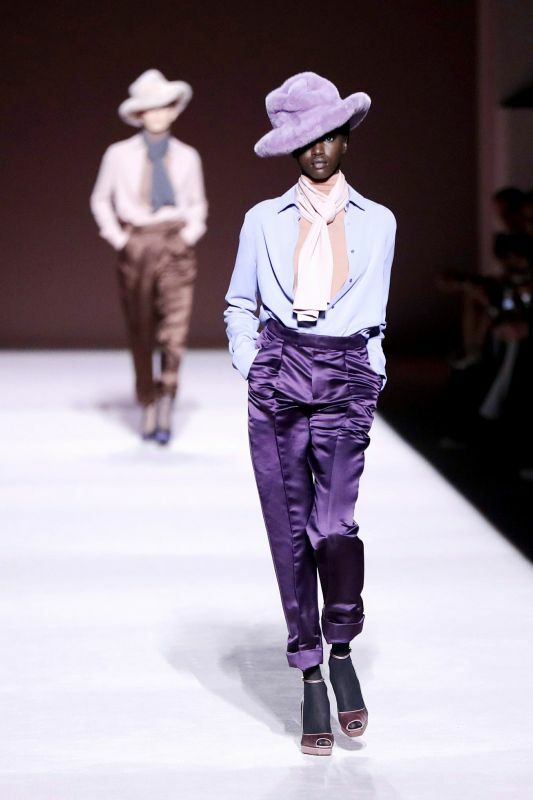 New York: Tom Ford says these tumultuous times pointed him in the opposite direction at New York Fashion Week on Wednesday night with a collection of gentle, non-aggressive elegance done in simple silhouettes, with some Los Angeles-inspired pops of colour. The show 'Make no Mistake' had a distinctive ’70s vibe in fake fur fedoras with wide brims and fluffy oversized coats. For evening, he did long silk jersey body-skimming dresses adorned with chains of pale pink and lilac that framed shoulders and backs. The links were the only adornment. The classic Ford attention to detail was on display, as was a certain swagger. Some of the autumn-winter looks were lined and faced in silk with hand-done detailing for his usual touch of luxury. Since decamping from London to Los Angeles nearly two years ago, Ford yet again has embraced colour, but this time around it came mostly in faded shades of pale blue, dove grey, plum, caramel, pink and rich browns and deep burgundy. “My acceptance of certain colours has changed,” he said in an interview backstage after the show. Not only that, the choice of ‘Don't Dream It's Over’, originally written by Neil Finn of Crowded House in 1986, as the background score to showcase his latest creations made his optimistic attitude evident. He was successful in inspiring feelings of hope and better times ahead in the US, which recently experienced a federal shutdown. “I feel agitated and upset, and I think clothing right now should be non-aggressive. And that sounds strange coming from me because often I have done somewhat aggressive, hard clothes. I wanted it (the show) to just be beautiful,” he said.